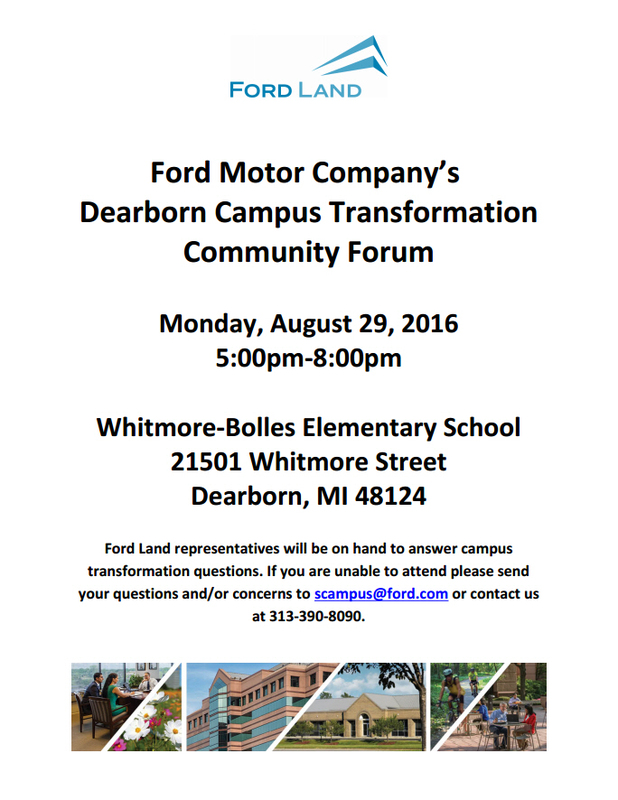 Ford Motor Company's Dearborn Campus Transformation Community Forum. TONIGHT, Aug 29th 5:00pm at Whitmore-Bolles Elementary. This meeting is being put on by Ford Land.